I love stripes. I have lots of stripes in my wardrobe. But now I may have overdosed a little on the stripes so my thoughts are turning to the anti-stripes - spots!! 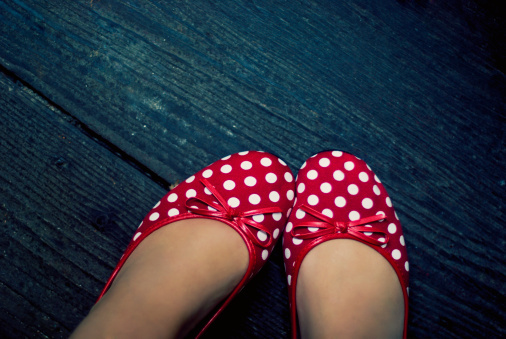 Spots really are the cuter cousin of stripes. They are more playful and some how seem fresher to me. 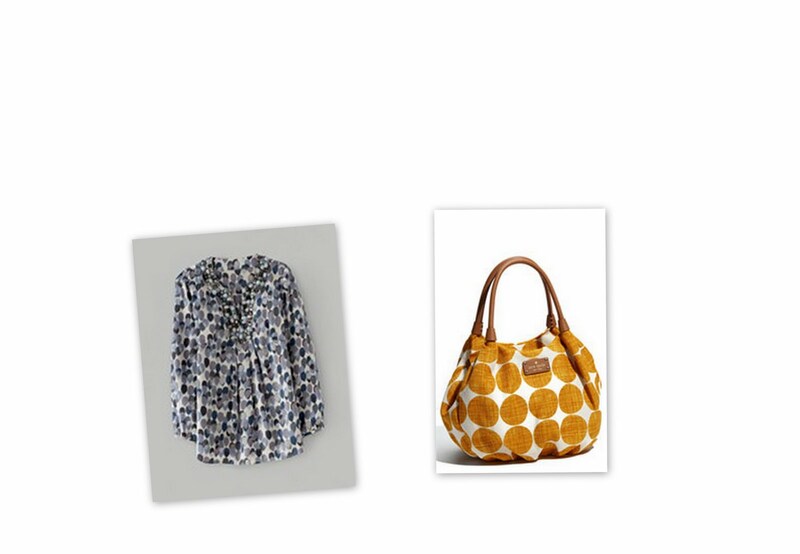 I know I am not the first person to notice spots are having a fashion moment, but I want to bring you my favourite spotty splendour. I don't know American actress Kristen Anderson-Lopez (apparently she is the voice of kanga in the new Winnie the Pooh movie. Don't even start me on the Disney-fication of Pooh! ), but I do know she looks lovely in this spotty dress with waist cincher. I am going to look for a dress just like this so that I can recreate this look in summer. I also need to find a gorgeous belt like this one! German actresses Nadine Warmuth and Jessica Schwarz look spotty-licious at the Rena Lange Show during Mercedes-Benz Fashion Week Berlin Spring/Summer 2012 at the Brandenburg Gate. 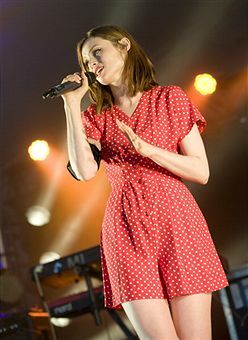 The always gorgeous Sophie Ellis-Bextor looks completely cute in this polka dot romper while singing at the Cornbury Music Festival in England. How perfect is this?!? She has been spotted before wearing this fabulous number to the 2011 Brit Awards. Olivia Palermo knows how to spot a trend. Boom tish! 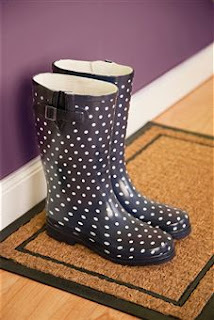 I have a pair of spotty boots that I wear when I need to keep my feet dry. I'm not sure where they came from but my mother-in-law in the US bought them for my eldest daughter, but mistakenly bought an adult size. Lucky for me my feet were that adult size. 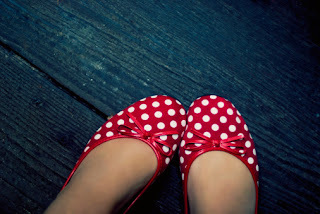 I also have these red spotty shoes that I wear with jeans all summer. 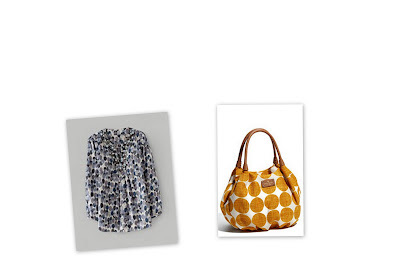 Silk top from Boden and spotty Kate Spade bag from Nordstrom.